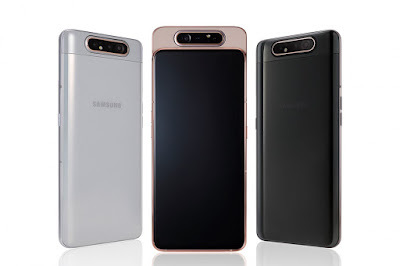 The new Samsung A80 will be an ordinarily looking mid range smart phone but when it will hit the shelves, customers would run for it. Do you know why? Well it would be the first smartphone with "Hole-Less Display" and "48 MP Rotating Triple Camera" for both front and rear photography.